Biomedical optical imaging, optical coherence tomography (OCT), multi-photon Microsopy (MPM), diffuse optical spectroscopy and imaging, molecular imaging, early cancer diagnosis, neuroimaging. R. M. Lovering*, S.B. Shah, S.J.P. Pratt, W. Gong, Y. Chen, “Architecture of Healthy and Dystrophic Muscles Detected by Optical Coherence Tomography,” Muscle and Nerve, 47, 588-590 (2013). Y. Chen*, H. Guo, W. Gong, L. Qin, H. Aleyasin, R.R. Ratan, S. Cho, J. Chen, S. Xie, “Recent Advances in Two-Photon Imaging: Technology Developments and Biomedical Applications,” Chinese Optics Letters, 11, 011703 (2013). C.P. Liang, B. Yang, I.K. Kim, G. Makris, J.P. Desai, R.P. Gullapalli, Y. Chen*, “Concurrent Multiscale Imaging with Magnetic Resonance Imaging and Optical Coherence Tomography,” Journal of Biomedical Optics, 18, 046015 (2013). C.P. Liang, Y. Wu, J. Schmitt, P.E. Bigeleisen, J. Slavin, M.S. Jafri, C.M. Tang, Y. Chen*, “Coherence-gated Doppler: a Fiber Sensor for Precise Localization of Blood Flow,” Biomedical Optics Express, 4, 760-771 (2013). A. Agrawal*, C.W. Chen, J. Baxi, Y. Chen, T. J. Pfefer, “Multilayer thin-film phantoms for axial contrast transfer function measurement in optical coherence tomography,” Biomedical Optics Express, 4, 1166-1175 (2013). A. Agrawal, M. Connors, A. Beylin, C.P. Liang, D. Barton, Y. Chen, R.A. Drezek, T.J. Pfefer*, "Characterizing the Point Spread Function of Retinal OCT Systems with a Model Eye-Based Phantom," Biomedical Optics Express, 3, 1116-1126 (2012). E. Ayvali, C.P. Liang, Y. Chen, J. Desai*, "A Discretely Actuated Steerable Cannula with Integrated Optical Coherence Tomography (OCT) Imaging," International Journal of Robotics Research, 31, 588-603 (2012). 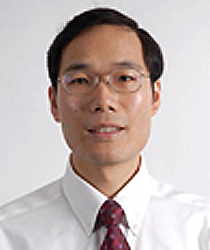 Y. Chen, C.P. Liang, Y. Liu, A.V. Parwani, A.H. Fischer, L. Pantanowitz*, "Review of Advanced Imaging Techniques", Journal of Pathological Informatics, 3, 22 (2012). C.P. Liang, C.W. Chen, J. Desai, R. Gullapalli, C.M. Tang, R. Mezrich, Y. Chen*, "Endoscopic Microscopy Using Optical Coherence Tomography," Current Medical Imaging Reviews, in press. Y. Chen*, S.W. Huang, C. Zhou, B. Potsaid, J.G. Fujimoto, "Improved Detection Sensitivity of Line-Scanning Optical Coherence Microscopy," IEEE Journal of Selected Topics in Quantum Electronics, 18, 1094-1099 (2012). C.P. Liang, J. Wierwille, T. Moreira, G. Schwartzbauer, M.S. Jafri, C.M. Tang, Y. Chen*, "A Forward-Imaging Needle-Type OCT Probe for Image Guided Stereotactic Procedures," Optics Express, 19, 26283-26294 (2011). J. Wierwille, P.M. Andrews, M. Onozato, J. Jiang, A. Cable, Y. Chen*, "In vivo, label-free, three-dimensional quantitative imaging of kidney microcirculation using Doppler optical coherence tomography (DOCT)," Laboratory Investigation, 91, 1596-1604 (2011). C.W. Chen, Y. Chen*, "Optimization of Design Parameters for Fluorescence Laminar Optical Tomography," Journal of Innovation in Optical Health Sciences, 4, 309-323 (2011). C.W. Chen, M.W. Betz, J.P. Fisher, A. Paek, Y. Chen*, "Macroporous Hydrogel Scaffolds and Their Characterization By Optical Coherence Tomography," Tissue Engineering–Part C: Methods, in press. C.A. Roney, B. Xu, J. Xie, S. Yuan, J. Wierwille, C.W. Chen, Y. Chen, G.L. Griffiths, M. Kono, R. Proia, R.M. Summers*, "Rh-I-UEA-1 polymerized liposomes target and image adenomatous polyps in the APCMin/+ mouse using optical colonography," Molecular Imaging, in press. K.A. DiVito, V.A. Trabosh, Y.S. Chen, C. Albanese, Y. Chen, A. Mauviel, C.M. Simbulan-Rosenthal, D.S. Rosenthal*, "Smad7 Suppresses N-cadherin Cleavage in Metastatic Melanoma Through β-catenin Stabilization and Restores Heterotypic Cell-Cell Interactions In Vivo," Pigment Cell & Melanoma Research, in press. A.D. Aguirre, Y. Chen, B. Bryan, H. Mashimo, Q. Huang, J.L. Connolly, J.G. Fujimoto*, "Cellular Resolution Ex Vivo Imaging of Gastrointestinal Tissues with Optical Coherence Microscopy," Journal of Biomedical Optics, 15, 016025 (2010). S. Yuan, C.A. Roney, J. Wierwille, C.W. Chen, B. Xu, G. Griffiths, J. Jiang, H. Ma, A. Cable, R.M. Summers, Y. Chen*, "Co-registered Optical Coherence Tomography and Fluorescence Molecular Imaging for Simultaneous Morphological and Molecular Imaging," Physics in Medicine and Biology, 55, 191-206 (2010). M.L. Onozato, P.M. Andrews, Q. Li, J. Jiang, A. Cable, Y. Chen*, "Optical Coherence Tomography Imaging of Intact Human Kidney Ex-Vivo," Journal of Urology, 183, 2090-2094 (2010). C.W. Chen, T. Blackwell, R. Naphas, K. Glunde, Y. Chen*, "Development of Needle-Based Microendoscopy for Fluorescence Molecular Imaging of Breast Tumor (Invited Paper)," Journal of Innovation in Optical Health Sciences, 2, 343-352 (2009). S. Yuan, Q. Li, J. Jiang, A. Cable, Y. Chen*, "Three-Dimensional Co-Registered Optical Coherence Tomography and Line-Scanning Fluorescence Laminar Tomography," Optics Letters, 34, 1615-1617 (2009). Y. Chen, A.D. Aguirre, L. Ruvinskaya, A. Devor, D.A. Boas, J.G. Fujimoto, "Optical coherence tomography (OCT) reveals depth-resolved dynamics during functional brain activation", Journal of Neuroscience Methods, 178, 162–173 (2009). Y. Chen, A.D. Aguirre, P. Hsiung, S. Huang, H. Mashimo, S. Desai, J. Schmitt, J.G. Fujimoto, "Comparison of Ultrahigh and Standard Resolution Endoscopic Optical Coherence Tomography for Gastrointestinal Imaging," Optics Express, 16, 2469-2485 (2008). P.M. Andrews, Y. Chen, S. Huang, D. Adler, R. Huber, J. Jiang, S. Barry, A. Cable, J.G. Fujimoto, "High-Speed Three-Dimensional Optical Coherence Tomography Imaging of Kidney Ischemia In Vivo," Laboratory Investigation, 88, 441-449 (2008). D. Adler, Y. Chen, R. Huber, J.M. Schmitt, J. Connolly, J.G. Fujimoto, "Three-Dimensional Endomicroscopy with Optical Coherence Tomography," Nature Photonics, 1, 709-176 (2007). P. Hsiung, D. Phatak, Y. Chen, A.D. Aguirre, L. Pantanowitz, J.G. Fujimoto, J.L. Connolly, "Ultrahigh Resolution and 3D Optical Coherence Tomography Ex Vivo Imaging of Malignant and Benign Lesions in Human Breast," Radiology, 244, 865-874 (2007). Y. Chen, S. Huang, A.D. Aguirre, J.G. Fujimoto, "High-Resolution Line-Scanning Optical Coherence Microscopy," Optics Letters, 32, 1971-1973 (2007). Y. Chen, P.M. Andrews, A.D. Aguirre, J.M. Schmitt, J.G. Fujimoto, "High-Resolution Three-Dimensional Optical Coherence Tomography Imaging of Kidney Microanatomy Ex Vivo," Journal of Biomedical Optics, 12, 034008 (2007). A.D. Aguirre, Y. Chen, L. Ruvinskaya, A. Devor, D.A. Boas, J.G. Fujimoto, "Cross-sectional Imaging of Functional Activation in the Rat Somatosensory Cortex with Optical Coherence Tomography," Optics Letters, 31, 3459-3461 (2006). P. Hsiung, L. Pantanowitz, A.D. Aguirre, Y. Chen, D. Phatak, J.L. Connolly, H. Mashimo, J.G. Fujimoto, "Ultrahigh Resolution and 3D Optical Coherence Tomography Ex Vivo Imaging of the Large and Small Intestine," Gastrointestinal Endoscopy, 62, 561-574 (2005). P.R. Herz, Y. Chen, A. Aguirre, K. Schneider, P. Hsiung, K. Madden, J. Schmitt, J. Goodnow, C. Petersen, J.G. Fujimoto, "Micro-Motor Endoscope Catheter for In Vivo Ultrahigh Resolution Optical Coherence Tomography," Optics Letters, 29, 2261-2263 (2004). Y. Chen, G. Zheng, Z. Zhang, D. Blessington, Q. Liu, X. Intes, L. Zhou, H. Li, M. Zhang, S. Achilefu, B. Chance, "Metabolism Enhanced Tumor Localization by Fluorescence Imaging: In Vivo Animal Studies," Optics Letters, 28, 2070-2072 (2003). X. Intes, J. Ripoll, Y. Chen, S. Nioka, A.G. Yodh, B. Chance, "In Vivo Continuous Wave Optical Breast Imaging Enhanced by Indocyanine Green," Medical Physics, 30, 1039-1047 (2003). Y. Chen, D. Tailor, X. Intes, B. Chance, "Correlation between Near-Infrared Spectroscopy and Magnetic Resonance Imaging of Rat Brain Oxygenation Modulation," Physics in Medicine and Biology, 48, 417-427 (2003). Y. Chen, C. Mu, X. Intes, B. Chance, "Adaptive Calibration for Object Localization in Turbid Media with Interfering Diffuse Photon Density Waves," Applied Optics, 41, 7325-7333 (2002). X. Intes, Y. Chen, X. Li, B. Chance, "Detection Limit Enhancement of Florescent Heterogeneities in Turbid Media by Dual Interfering Excitation," Applied Optics, 41, 3999-4007 (2002). Y. Chen, C. Mu, X. Intes, B. Chance, "Signal-to-Noise Analysis for Detection Sensitivity of Small Absorbing Heterogeneity in Turbid Media with Single-source and Dual-Interfering-Source," Optics Express, 9, 212-224 (2001). Y. Chen, S. Zhou, C. Xie, S. Nioka, M. Papadopoulos, E. Anday, B. Chance, "Preliminary Evaluation of Dual Wavelength Phased Array Imaging on Neonatal Brain Function," Journal of Biomedical Optics, 5, 194-200 (2000). The marbles, or 'bPods,' will contain microsystems that can “eavesdrop on biology” during fermentation, cell or culture-growing processes. Annual event invites everyone to learn more about biomedical engineering. Chao-Wei Chen takes 3rd at photonics conference for presentation on non-invasive 3D imaging of stem cells. Weifeng Su, a former postdoc with Prof. Ray Liu's research group, won the award at ICC 2010, the premier conference in communications.